If your new home in Canada is not ready or your plans are undecided you may choose for your household goods to spend some time in storage in the UK or Canada. We are well networked with Canadian removal partners who can assist with all your storage needs in Canada. You must have residence status in Canada for your overseas shipment to clear customs. In Toronto our agents will clear customs on your behalf provided all relevant documents are completed and returned to us in good time. However in West Canada (Vancouver) you may need to visit a local customs office, you can also advise customs officials at the airport of arrival that you have “goods to follow” and provide them with a copy of the inventory or packing list. If you choose to use our storage service everything will be loaded directly into specially designed, numbered storage containers and travel straight to our purpose-built warehouses. 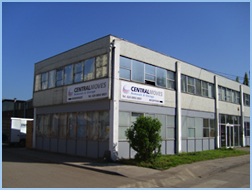 Central Moves has some of the finest furniture storage facilities anywhere in the country. All our warehouses use the containerised storage system to minimise handling and keep your goods clean, dry and secure. Goods are inventoried and at request photograghed too. On arrival at the warehouse, the containers are handled mechanically into their location. Once in position, they are not touched again until the items are required for delivery. Central Moves warehouses also have facilities to handle special items that are inappropriate for containerised storage. Carpets, ladders, motorcycles, cars and caravans all receive individual attention and care. A purpose built vehicle will arrive outside your property with the container(s) on board. Your furniture and personal items will then be loaded securely in the container. If you would like any further information regarding Container Storage please feel free to contact us.